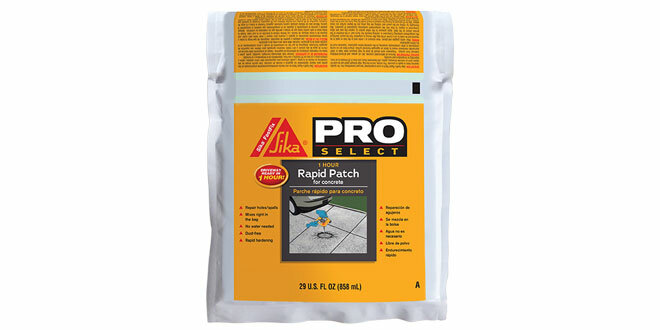 Sika® FastFix Rapid Patch is an easy-to-use, quick-curing patch for repairing small holes and spalls in concrete. This two-part, cementitious mix can be used to repair concrete basement floors, driveways, patios and more. It sets in 10 to 20 minutes and can be opened to foot and vehicular traffic after one hour. The product provides a high strength repair that is crack- and shrink-resistant for a durable solution to damaged concrete.